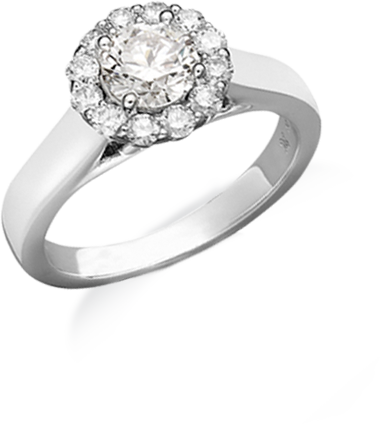 A square halo makes a round diamond feel bold. 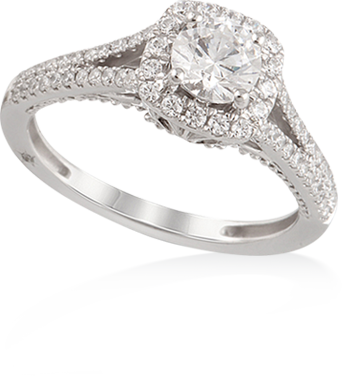 Three rows of stones plus a double halo equals megawatt sparkle. A pair of delicate bands make for one super-sparkly duo. 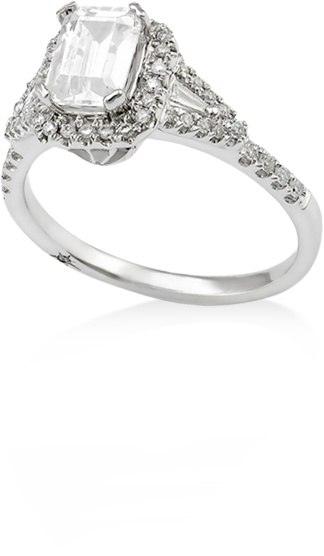 Channel-set diamonds in the band give it a modern twist. 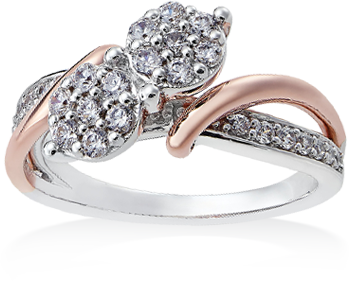 Two-stone rings, also known as toi et moi (you and me) styles, are inspired by the idea of symbolically combining two hearts into one. This sweet look is increasingly popular, but the idea has been around for centuries. 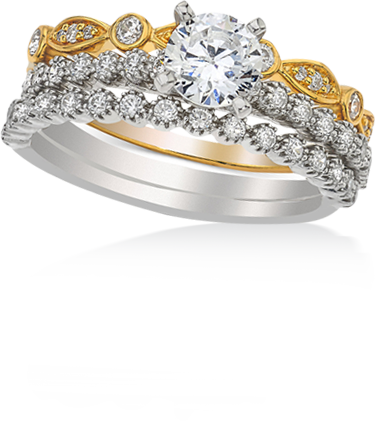 On a practical note, these rings are a smart way to get more bling for your buck, since they’re typically made with two or more smaller stones. 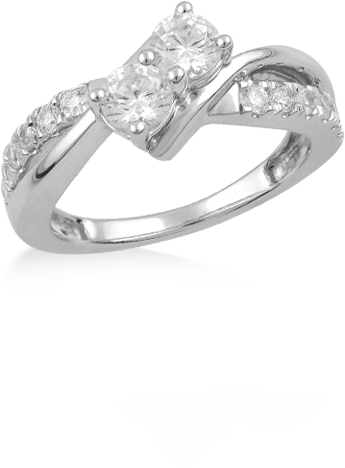 Try this beautiful twist on the two-prong band. Luxe mixed metals with a triple dose of sparkle amp up this otherwise-streamlined set. Mixed metals make this style ultra-versatile. Mixed metals, band styles and details make for a ring every bit as unique as you are. These baubles are feminine and whimsical—but thanks to the variety of elements, versatile too. 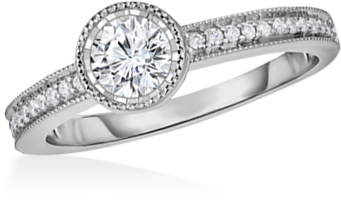 The combination of a bezel-set center stone, channel-set diamonds and vintage-inspired milgrain detailing is a standout. 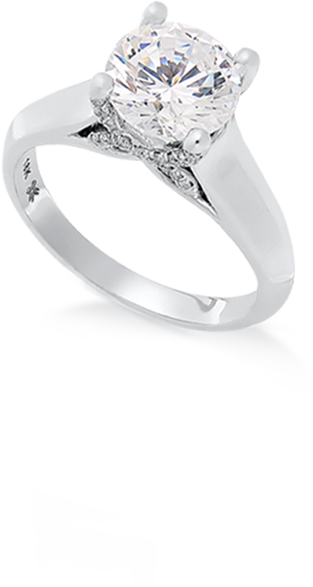 The high, intricate setting enhances this ring’s dramatic feel. 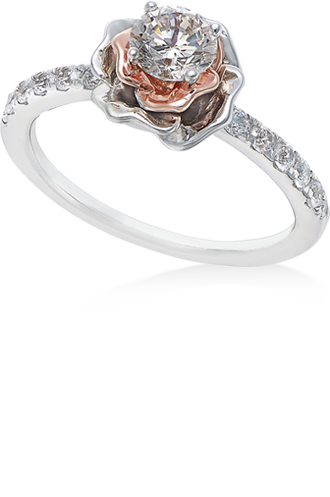 Rose gold swirls and floral-inspired diamond clusters feel so feminine. 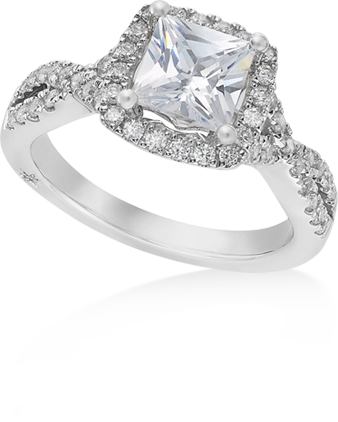 Popular among celebrities, square or emerald-cut stones are a bold, of-the-moment choice. 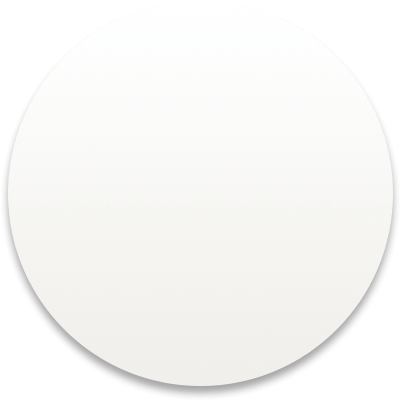 (You can get a similar effect by placing a round diamond inside a square halo.) An elevated setting ensures your diamond is front-and-center; opt for a pavé-set band to up the glam appeal. 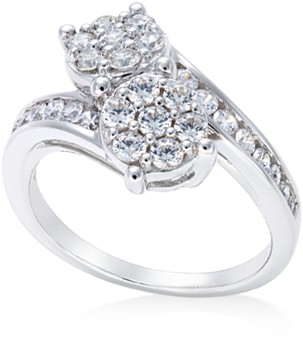 This strikingly detailed setting is loaded with pavé diamonds. 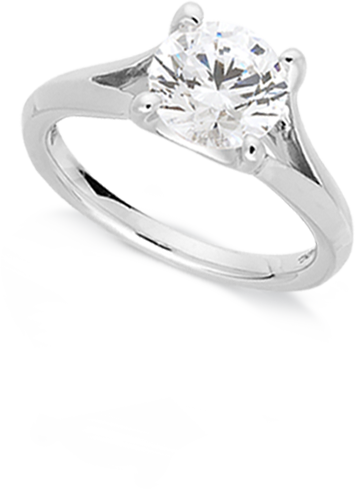 This beautifully simple solitaire boasts X-shaped diamond accents along its sides. 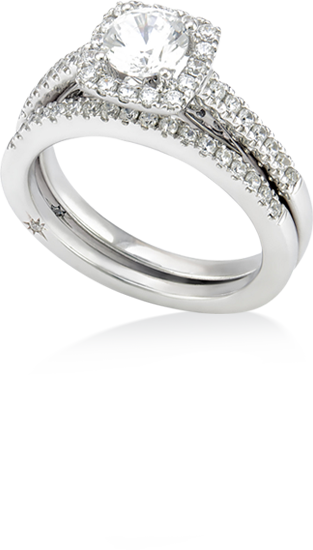 Contrasting, twisting bands are effortlessly eye-catching. A delicate halo of diamonds has vintage-y appeal. 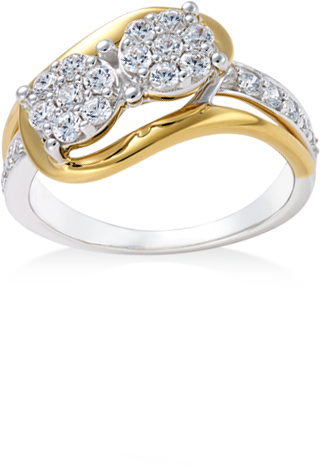 Each ring in this trio is as gorgeous on its own as it is worn together. 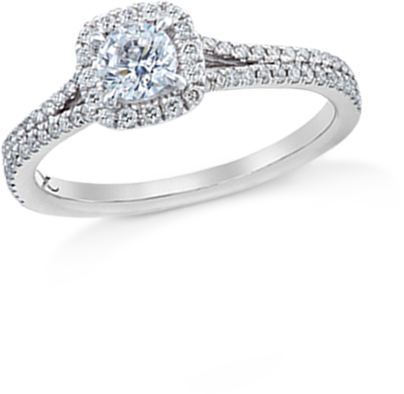 The split-shank band lets a two-carat solitaire shine. 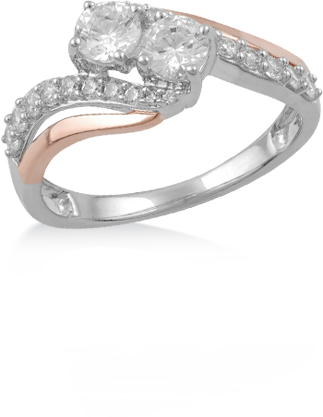 A sweet, antique-inspired take on the solitaire. 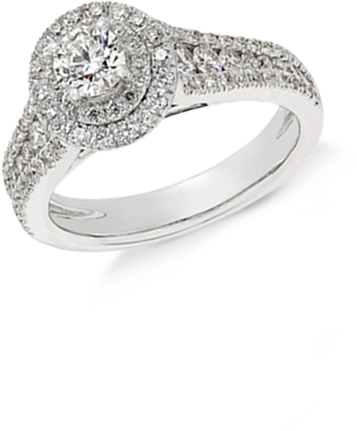 A high-set round diamond is a timeless choice and for good reason: Few styles are as stunningly sparkly. 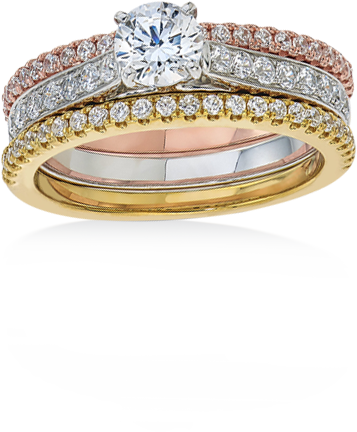 If you're looking to turn things up a notch, a halo, filigree or pavé band makes a traditional ring feel unique. unique.